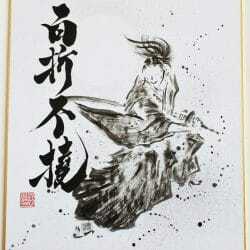 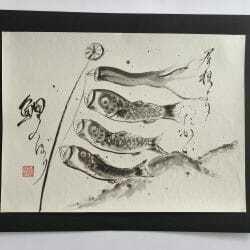 Was Born in Kyoto in 1979 and began to study called Shodou at the age of 6. 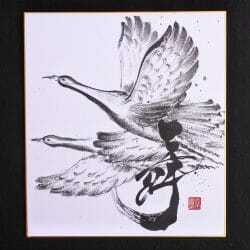 He graduated in sociology at the Buddhist University in Kyoto. 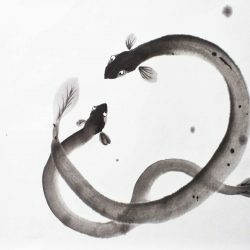 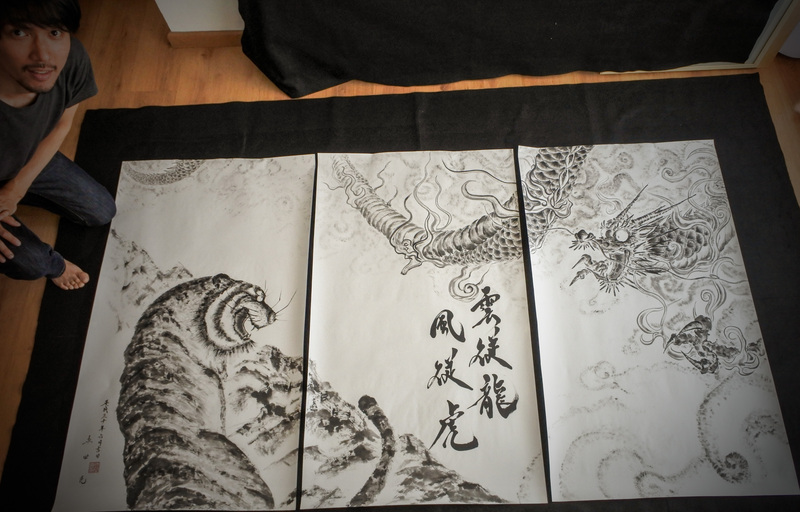 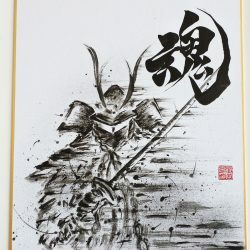 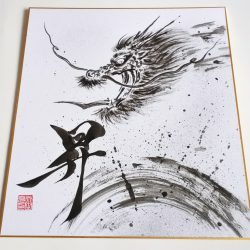 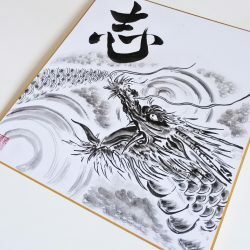 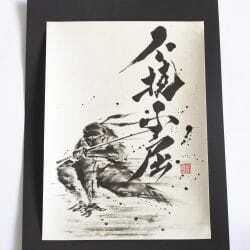 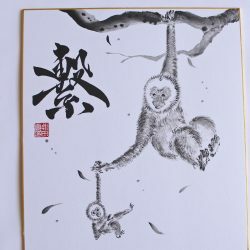 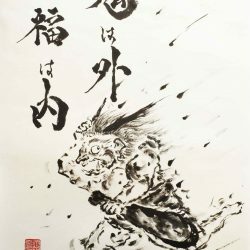 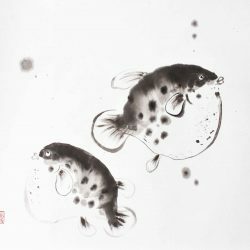 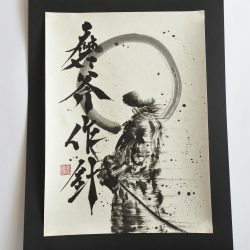 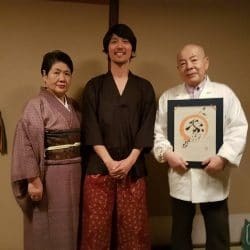 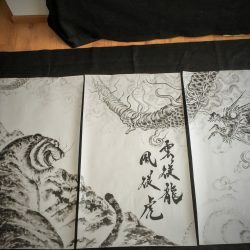 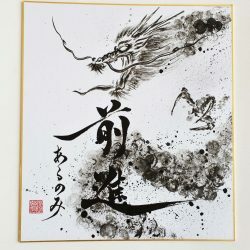 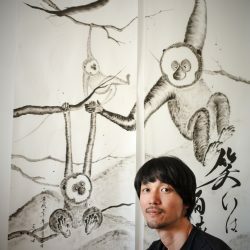 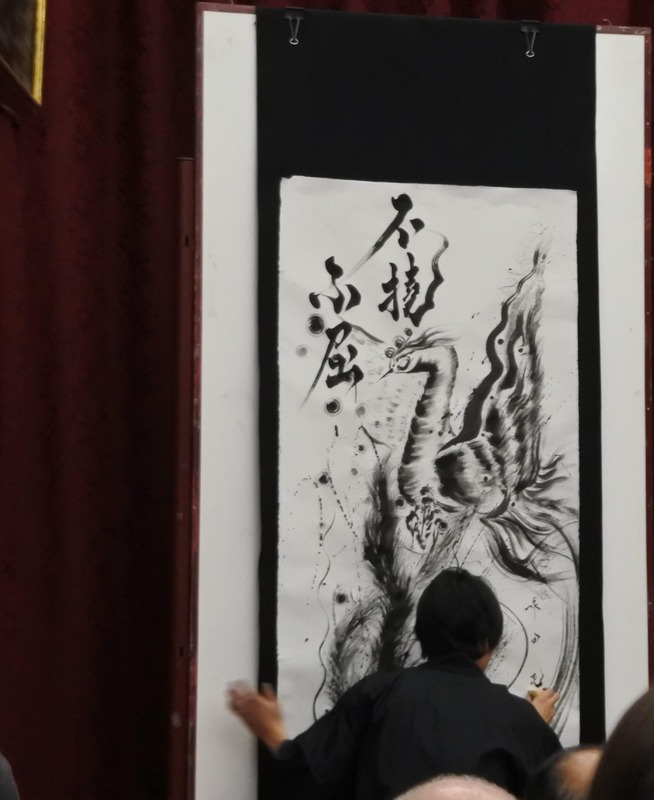 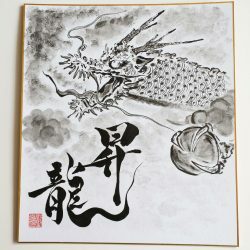 For years he has accomplished several courses to master the technique but he has developed his own personal contemporary and artistic style that combines Japanese painting with ink called Sumie and Shodou. 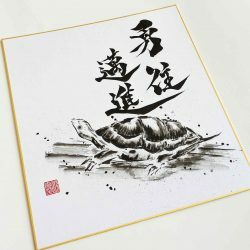 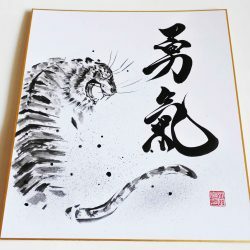 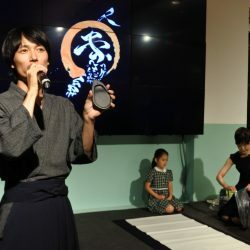 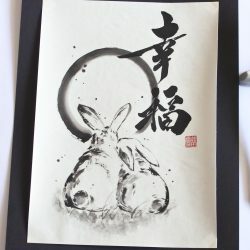 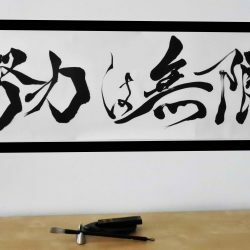 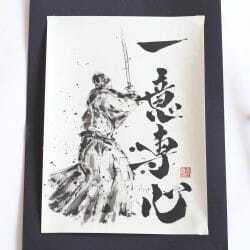 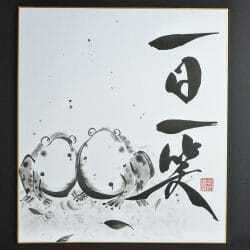 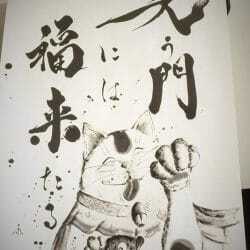 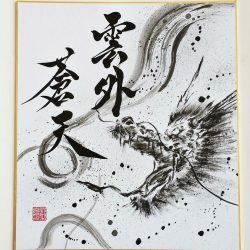 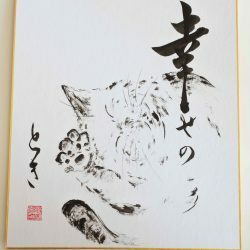 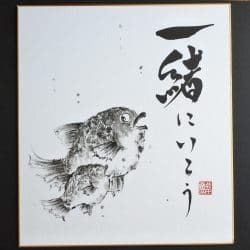 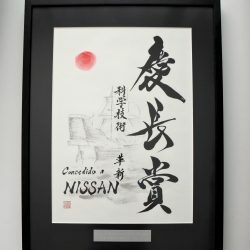 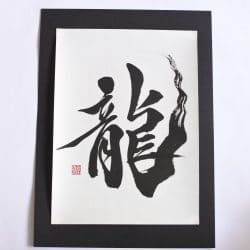 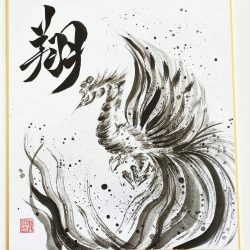 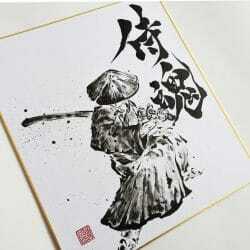 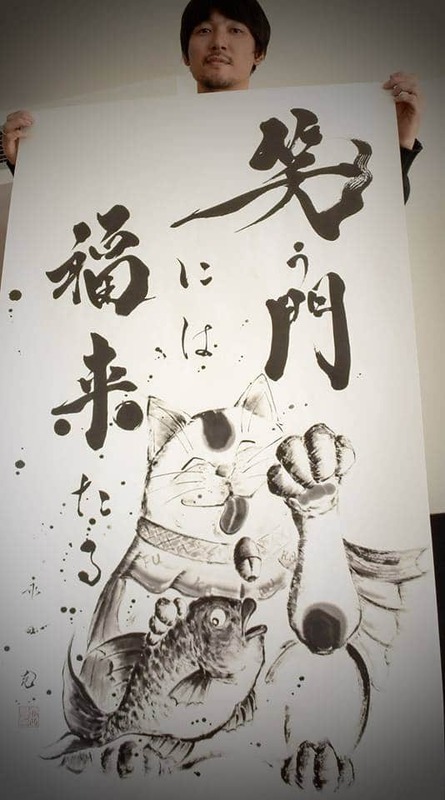 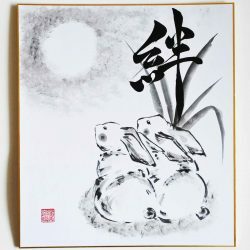 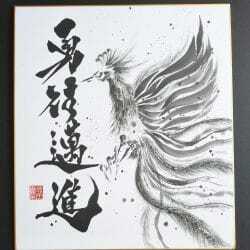 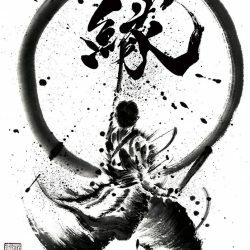 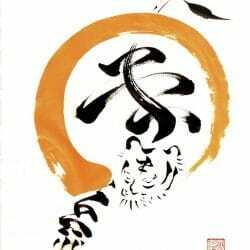 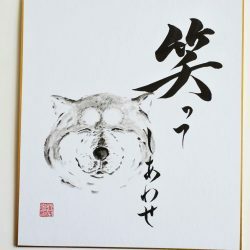 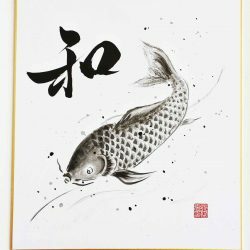 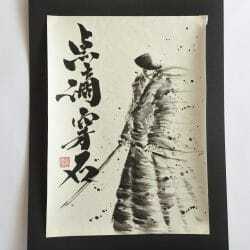 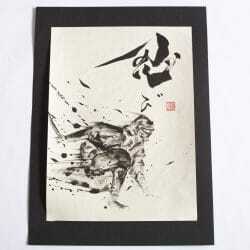 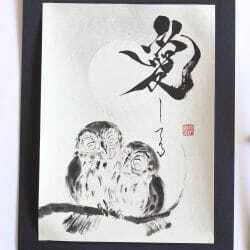 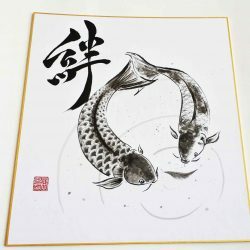 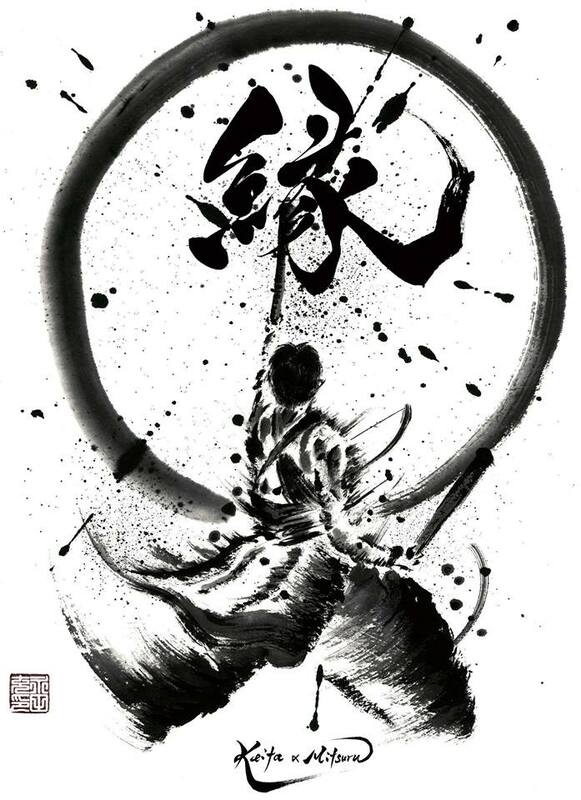 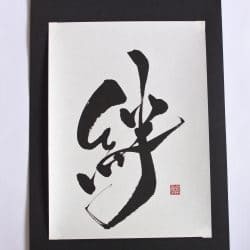 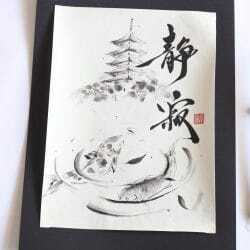 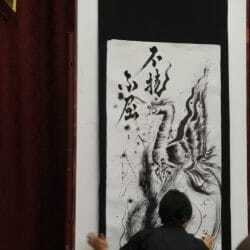 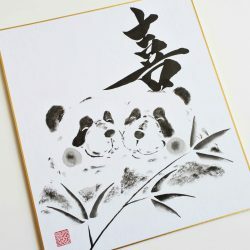 Japanese calligraphy (Shodou) and Sumie are techniques of painting that are practiced in some Asian countries and have connection with Zen Buddhist philosophy. 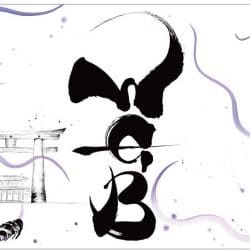 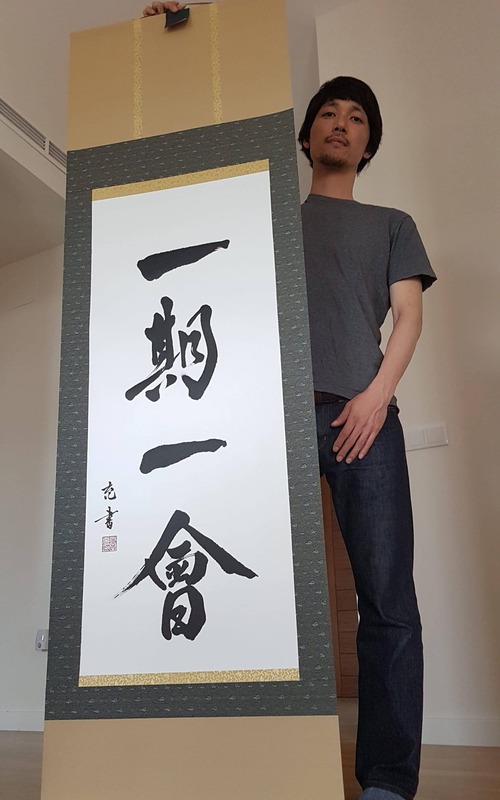 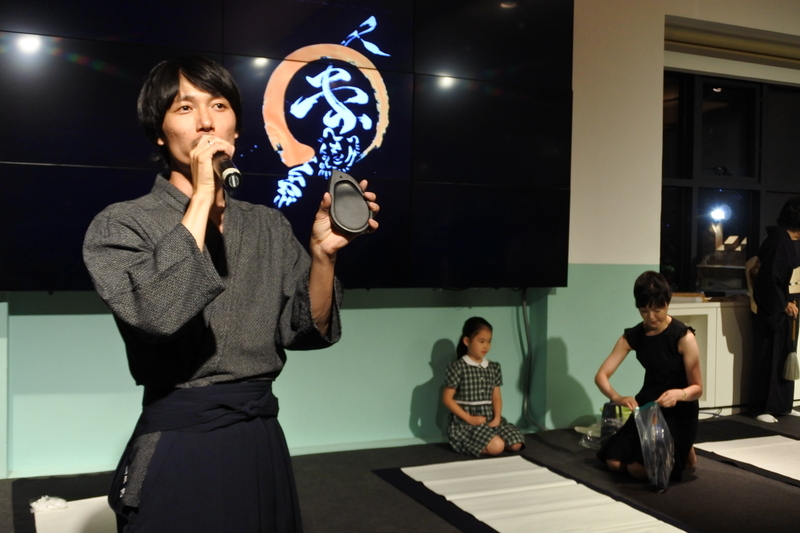 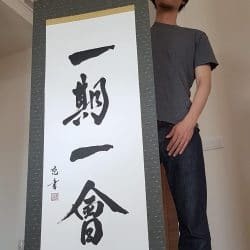 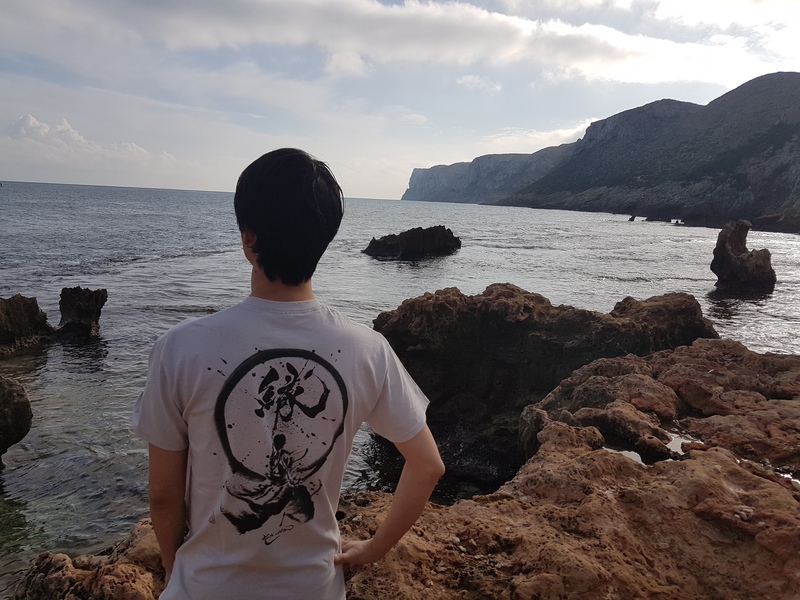 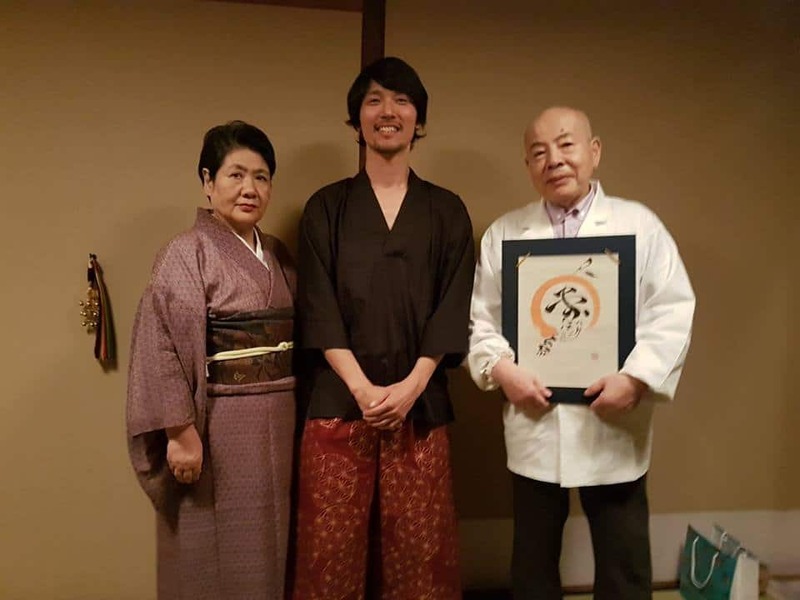 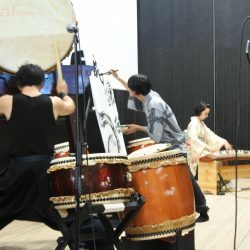 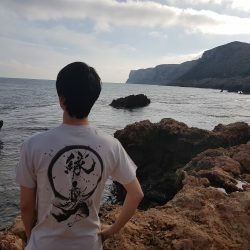 Mitsuru has held exhibitions, teaches and participates as a guest artist doing live painting of calligraphy and Sumie in several Japanese festivals and art fairs in different cities in Spain and France. 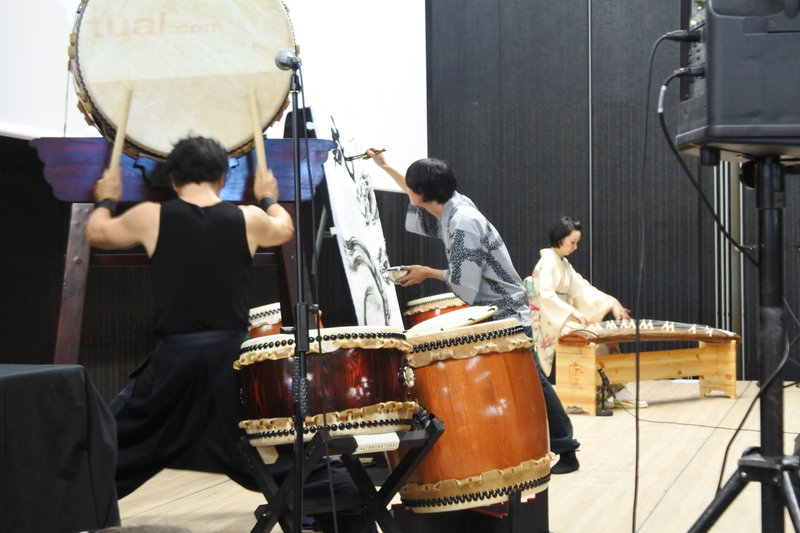 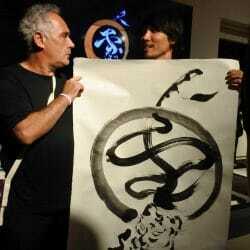 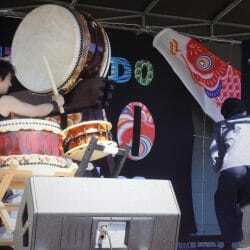 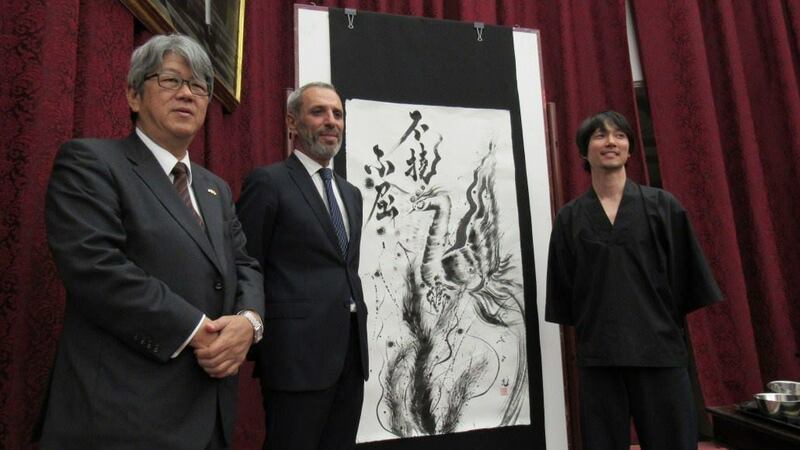 Also he collaborates with Japanese Embassy in Spain and Portugal as a guest artist for cultural events. 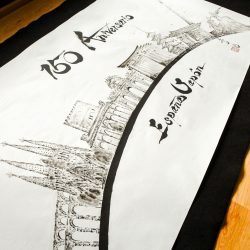 -Design of a tote bag for Muji Spain, for flagship store passeig de gracia , Barcelona . 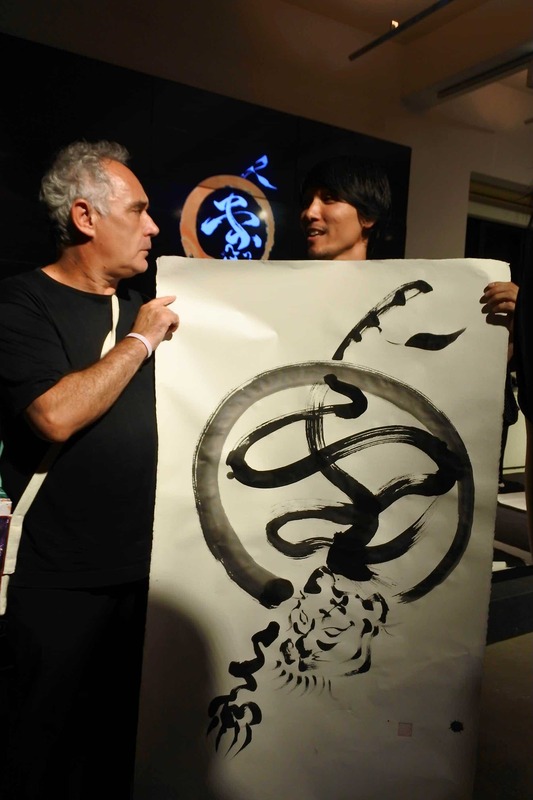 -Kaiseki theater El Tigre de Yuzu, the story about the friendship between Ferran Adria and the Mibu. 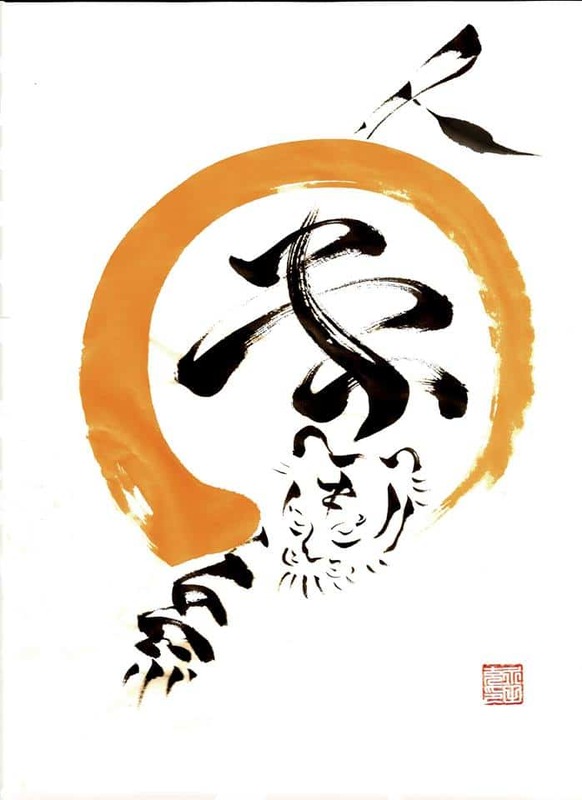 Calligraphy Artist and Logo design for the play. 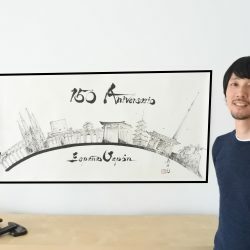 -Advertising Agency, Ogilvy and Mather for Tourspain Japan. 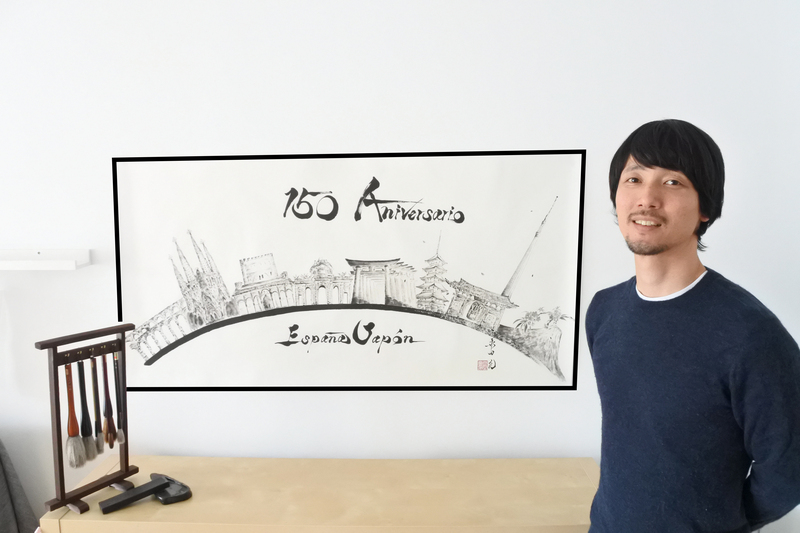 Calligraphy design for tourism of Spain in Japan campaign. 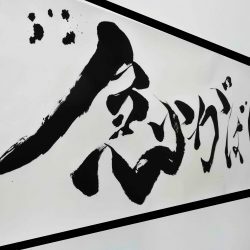 –Keicho award 2017 for CEJE (The Japan-Spain Business Circle). 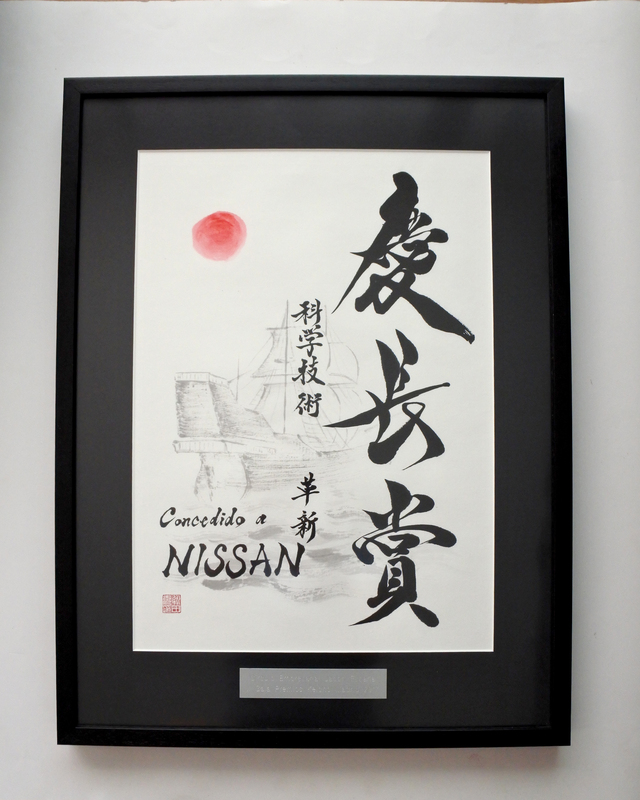 Designated for the design of the award for Iberia and Nissan. 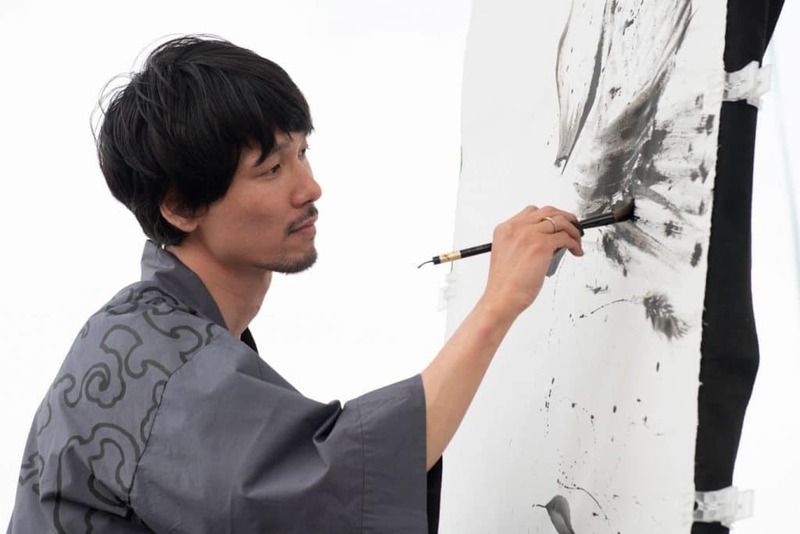 Mitsuru has held exhibitions, teaches and participates as a guest artist doing live painting of calligraphy and Sumie in several Japanese festivals and art fairs in different cities in Spain and France. 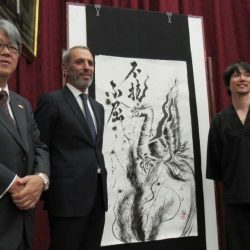 Also he collaborates with Japanese Embassy in Spain and Portugal and Japan Foundation as a guest artist for cultural events. 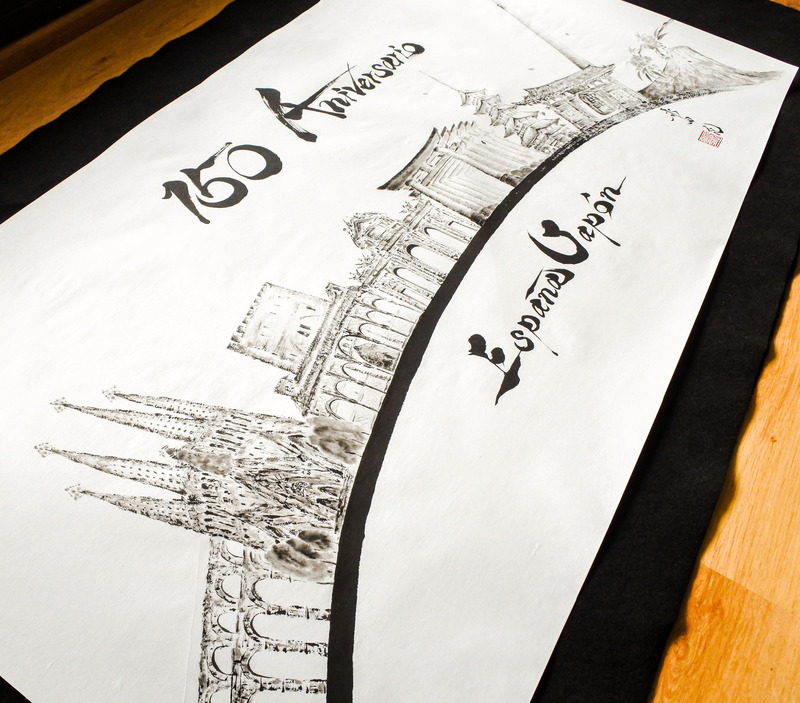 -Design of a tote bag for Muji Spain, for flagship store passeig de gracia , Barcelona. 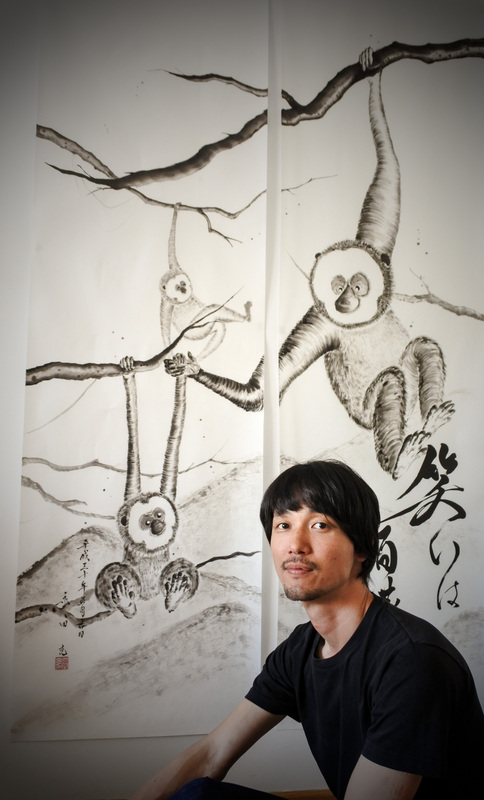 ICHIGO iCHIE "one time, one meeting"